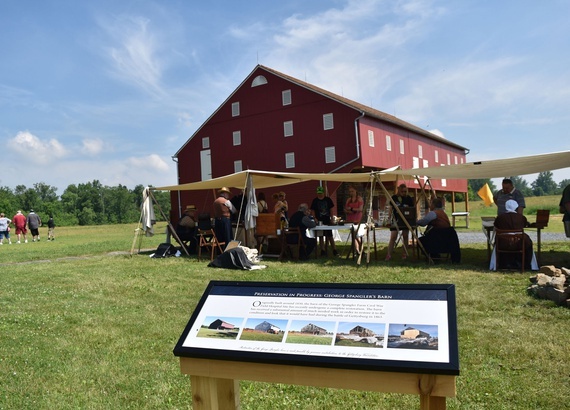 Shortly after the smoke cleared on July 3, 1863, the local residents recognized that the farms and fields of Gettysburg were now hallowed ground. Preservation efforts began immediately to ensure future generations would understand the incredible acts of sacrifice and examples of unfathomable courage made in this Pennsylvania town. In 1895, the Federal Government designated the Gettysburg battlefield as a National Military Park, and a commission of Civil War Veterans was appointed to oversee the Park’s development as a memorial to both armies. 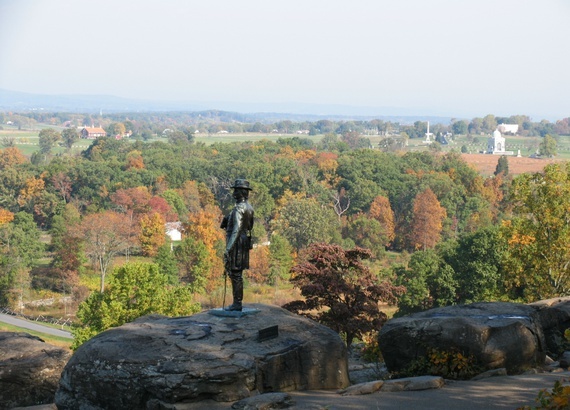 Today, the Gettysburg Foundation continues this long-standing tradition of citizens rising up to provide support, funding and advocacy for Gettysburg National Military Park. As the non-profit partner of Gettysburg National Military Park and Eisenhower National Historic Site we, along with nearly 20,000 Friends and supporters, work to enhance preservation and understanding of the heritage and lasting significance of Gettysburg and its national parks. Together, we have embarked on critical preservation projects. Gettysburg land preservation efforts ensure that the best artifact we have—the battlefield itself—will be preserved so that future generations can experience Gettysburg’s lessons of honor, courage and sacrifice. The battlefield provides a tangible link to the actions of July 1863. 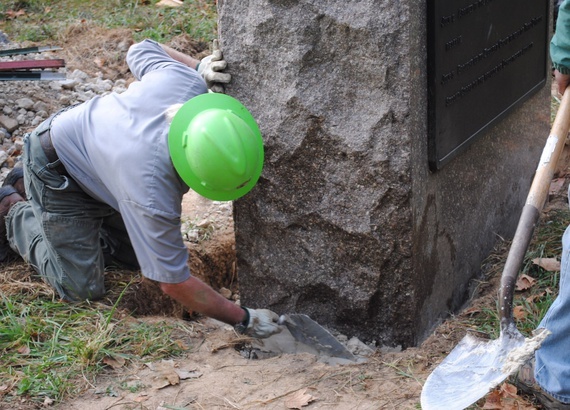 Gettysburg land preservation is ongoing, building on a long history of people who are committed to making sure that no one ever forgets what happened on this hallowed ground. By supporting the Gettysburg Foundation, you support our work as partner to the National Park Service in Gettysburg land preservation, monument preservation, battlefield rehabilitation, artifact preservation and education. Little Round Top, the smaller of two rocky hills south of Gettysburg and the site of an unsuccessful assault by Confederate troops against the Union left flank on July 2, 1863, is regarded by many historians as the key point in the Union Army’s defensive line that day. This renowned and heavily trafficked high point of the battlefield suffers today from deterioration of pathways and parking lots, soil erosion, and signs of over-use. Cemetery Hill and Cemetery Ridge were part of the key terrain held by the Union Army throughout the battle, as well as the scene of heavy fighting during Pickett’s Charge, where the Union troops ultimately prevailed. Less than a decade ago, this key battle area was the home of the old Visitor Center, a parking lot, and the Cyclorama building. 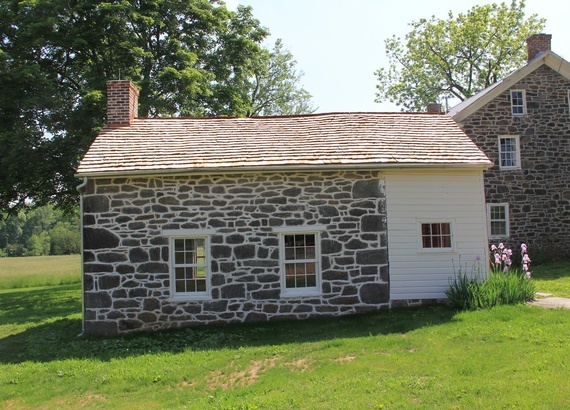 Acquired by Gettysburg Foundation in 2008, the George Spangler Farm is the best documented, most intact Civil War field hospital site in the Gettysburg Campaign. More than 1,900 men were hospitalized at the farm in the days following the Battle of Gettysburg. Preservation of the farm, which is also the site of Confederate General Lewis A. Armistead’s death, provides an unparalleled opportunity for historic interpretation of Civil War medicine. Thanks in large part to a generous Friends member, the Summer Kitchen is fully rehabilitated and still possesses its historic features, including exterior stone walls, exterior opening and window patterns, main entrance, six-over-six wood window frames and sashes, interior flooring and wall materials, interior finishes on first and second floors and a large cooking fireplace.